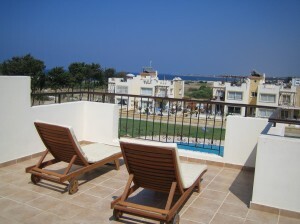 Welcome to our website for the owners and guests of The Pines Apartments, North Cyprus. The Pines is located just outside the village of Lapta in Northern Cyprus, about 10 km West of the picturesque town and harbour of Kyrenia. It’s a lovely spacious site of just 36 apartments, arranged in nine blocks of four apartments around a central communal swimming pool and grassed shrubbed area. Framed by the Besparmark Mountain range in the background and the coast to the front, The Pines is often described as the “flag ship” of its construction company Santa Fe. Built in 2005/06, there is a mixture of 3 bedroom ground floor garden apartments and penthouse style apartments with roof terraces. All have their own BBQ facilities for al-fresco dining! The highlight of our site – in summer at least – is the 20-metre swimming pool, perfect for lazing on an air bed or counting the laps if you’re trying to burn off those holiday calories. 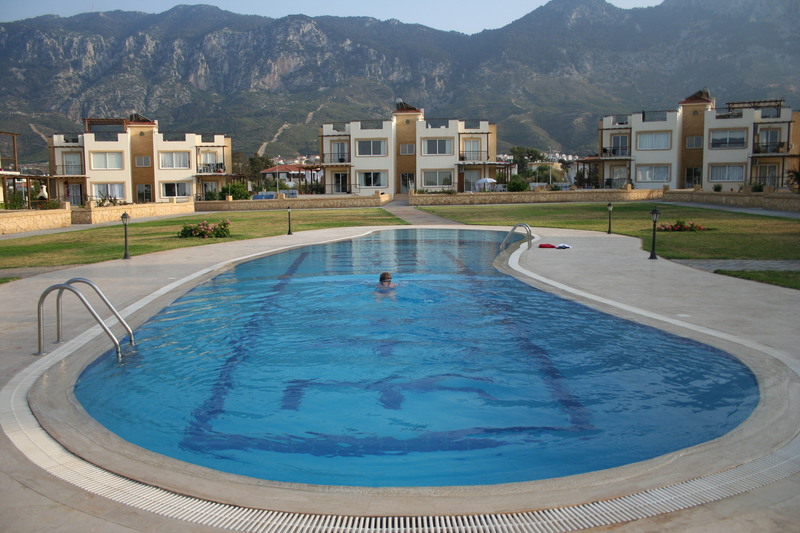 There’s a shallow section for children (0.5mtres) too and the main pool itself has a maximum depth of 3 metres. We try to do our bit for the environment – the owners paid in 2006 for the installation of a refinery on site (hidden behind the pine trees out of sight) and a water well in 2013. The refinery automatically recycles water from our apartments waste which is then used along with the well water to keep the inner and outer gardens grass, plants and trees green and lush. Our apartments all have solar panels on their roofs, providing hot water, even on cloudy days. 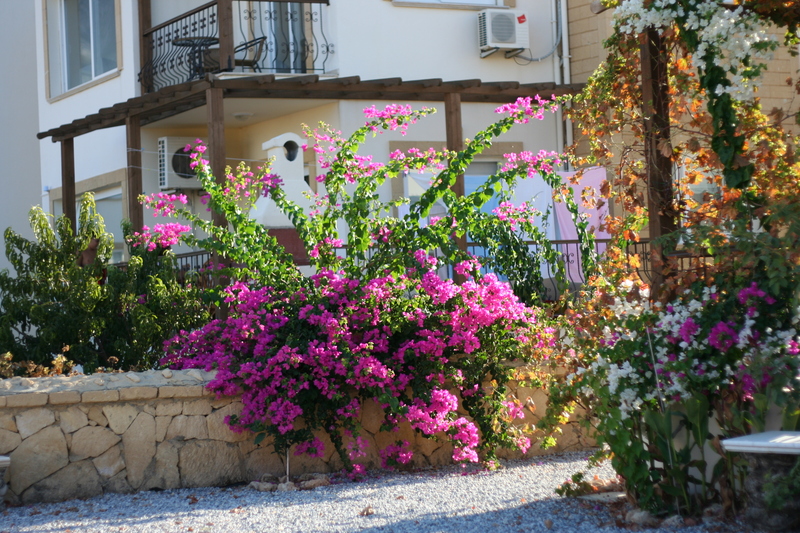 We hope you enjoy your stay at The Pines and find it’s a well-kept, friendly site where we welcome all our owners and guests. If you’d like to send us a comment, please use our comments form.